Malcolm Glazer, owner of the soccer team Manchester United, personally called Lloyd Blankfein to complain about one of his employees. 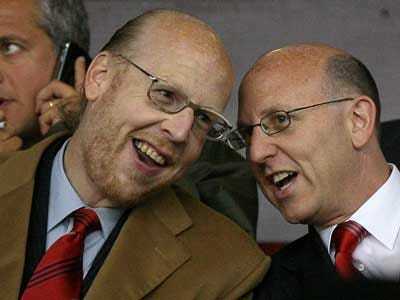 Glazer is apparently sensitive after Goldman’s Jim O’Neill criticised his team, Manchester United, according to The Telegraph. O’Neill attacked Glazer’s running of Manchester United after details of the club’s recent bond issue, including the mortgaging of the iconic Old Trafford stadium as collateral, were made public. Jim O’Neill, who is chief economist at Goldman, is leading a team of wealthy individuals called the Red Knights to buy the club from the Glazer family. He is seeking to restore the club to partial fan ownership, which has supporters groups excited. This is not the first time Lloyd Blankfein has received complaints about his employees dealings outside work. Jim Chanos called Mr. Blankfein to complain about his neighbour, Goldman’s Marc Spilker, who aggressively cut down his shrubbery.